Italy is to open one of the world's first prisons for transgender inmates, reports say. Gay rights groups in Italy welcomed the move to convert an almost empty medium security women's prison into a specially equipped detention centre. 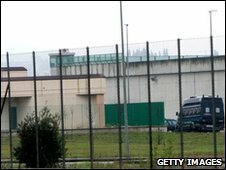 The BBC's Duncan Kennedy, in Rome, says that until now transgender prisoners have been located in women's prisons where they are often segregated for their own safety. "There are at least 30 to 40 women held in nearby prisons who would be ready to be transferred to a medium-security centre such as Pozzale. But very restrictive entry requirements were imposed," Franco Corleone told Italian news agency Adnkronos.